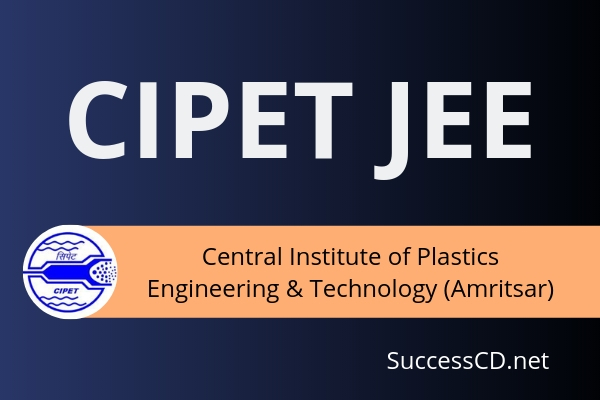 CIPET JEE 2019 Notification - Central Institute of Plastic Engineering Technology invites applications from the eligible candidates for CIPET Joint Entrance Exam 2019 (Computer Based Test) for admission to Diploma, Post Diploma, Post Graduate Diploma Programs (CIPET) for the academic year 2019-20 CIPET announces admission of diploma programs through Computer Based Test (CBT) JEE 2019-20. Candidates can fill and submit the application form online at www.cipet.gov.in. Candidates are advised to fill the application form after reading the complete admission handbook of CIPET. Candidates have to register online to fill the CIPET JEE application form 2019. The application form will be started from 18th April 2019. After completing registration process, candidates have to login on the website to complete application process. Candidates have to upload the scanned images of photograph and signature along with providing personal and academic details.